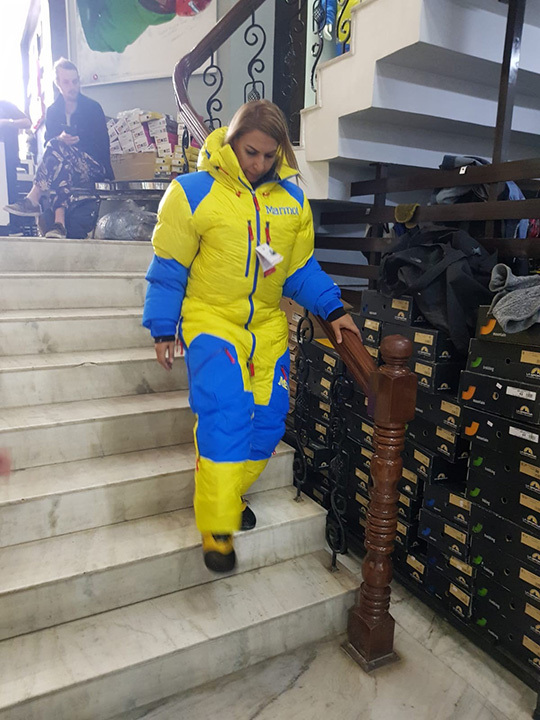 Khadija Turki, 46, a part-time teacher in Dubai, has embarked on a two-month long expedition to scale Mt. Everest (8,848 metre, 29,029 feet). 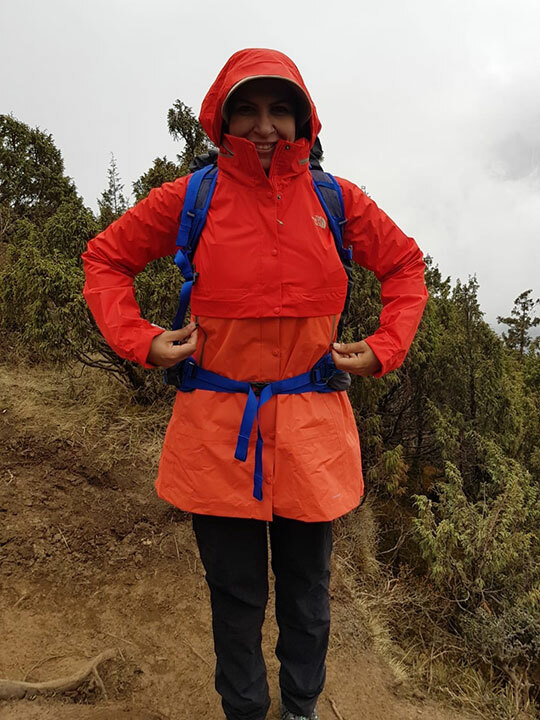 Upon successfully accomplishing the feat, she will officially be the first Emirati woman to summit the world's tallest peak. 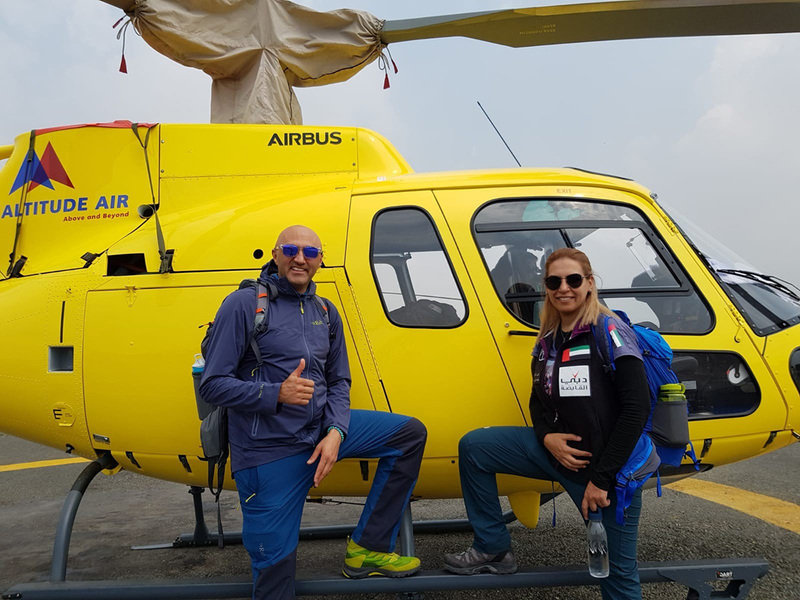 Khadija Turki and her coach Mostafah Salameh are trekking along the banks of white river Dudh Kosi, crossing the mighty river on suspension bridges laden with prayer flags. 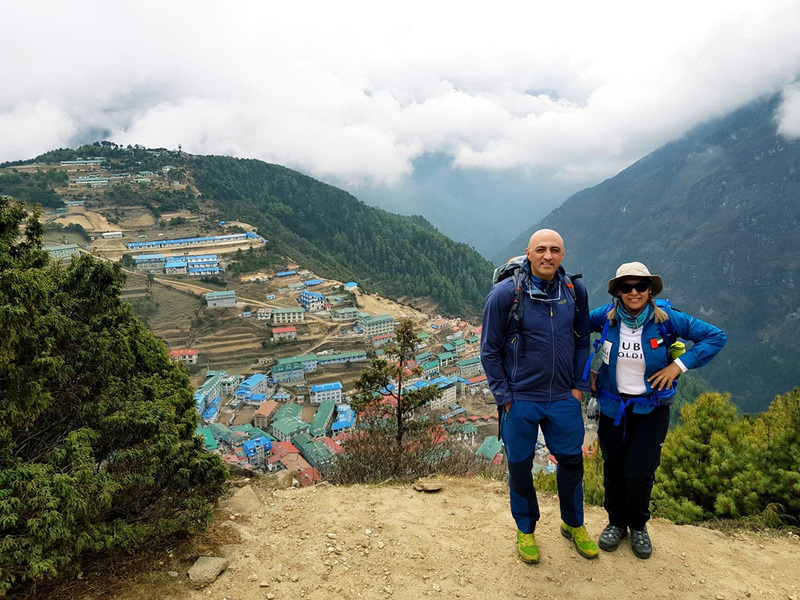 "After entering Sagamartha National Park, the trail climbs steeply albeit with breathtaking views to Namche Bazaar, the gateway to the Khumbu region. 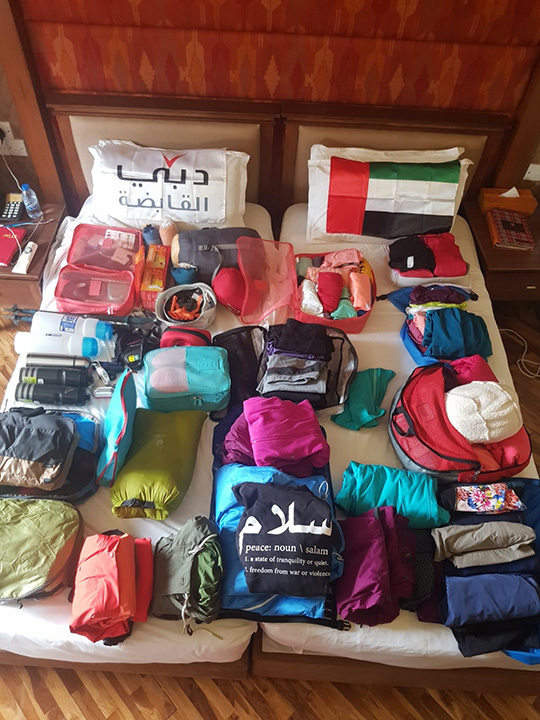 The hiking time is four to six hours and we are staying in Camp de Base Hotel," said Turki. 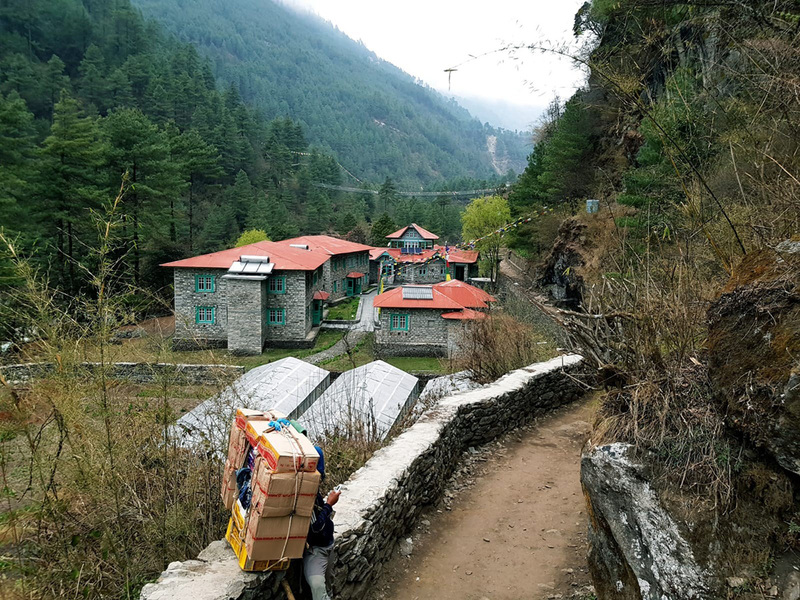 "Namche is a beautiful village (the richest in Nepal) with many wonderful and interesting shops and vendors, fabulous food, and stunning views of the surrounding mountains. It creates a 'U shape' as the houses and shops follow the inward curve of the mountain," she said. View of the white tips of the highest peak in the world from my guesthouse is simply breathtaking. And our early hike above town rewarded us with a spectacular Himalayan sunrise and views of Mt. 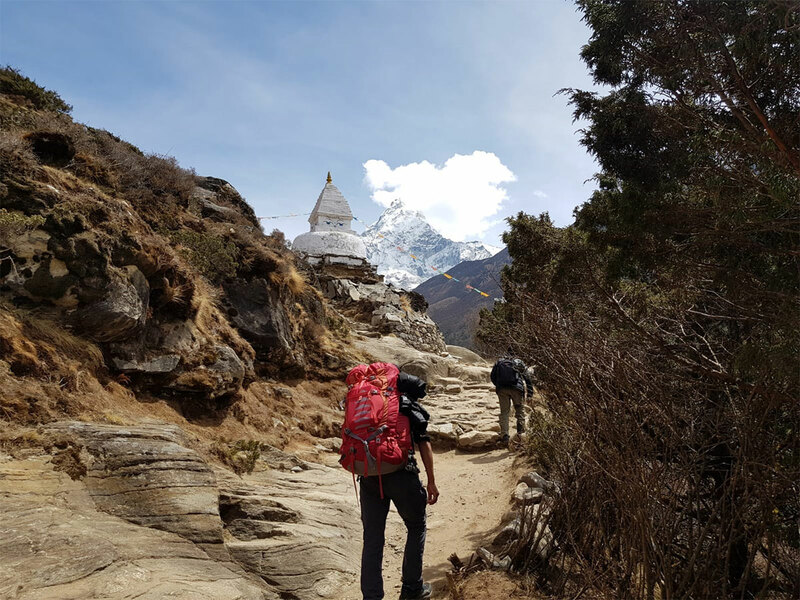 Everest, Lhotse (the fourth highest peak in the world), and the beautiful Ama Dablam. Today (April 14), we had an early start. 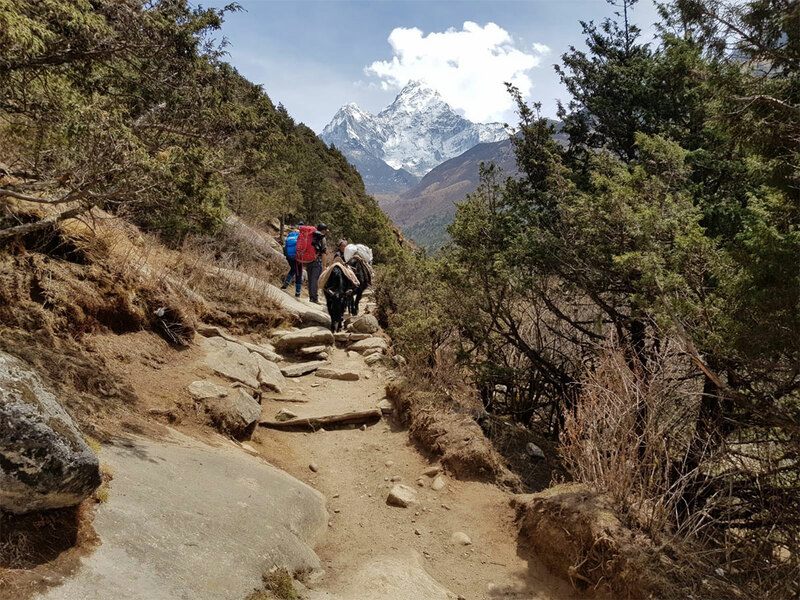 We trekked to the village, Tengboche (12,683 feet), the cultural and religious centre of Khumbu. 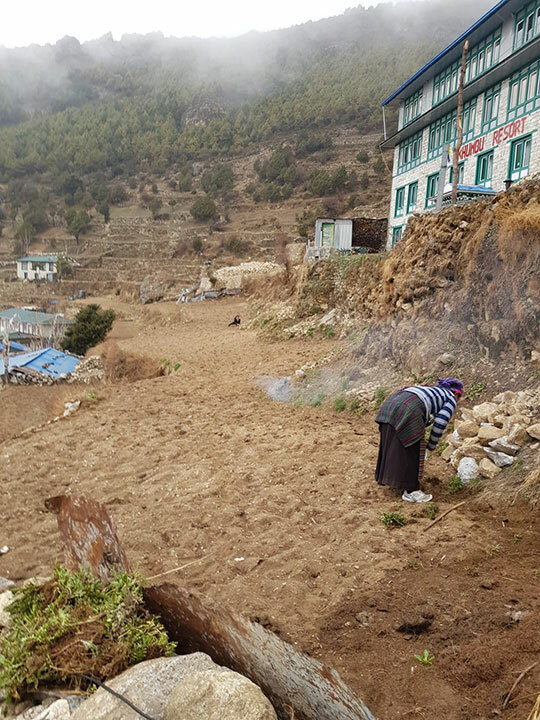 We visited a monastery at Tengboche and attended Buddhist ceremonies and rituals performed by local monks. The Rinpoche (the Abbot) is revered throughout the Buddhist community, and has inspired a number of books and essays. 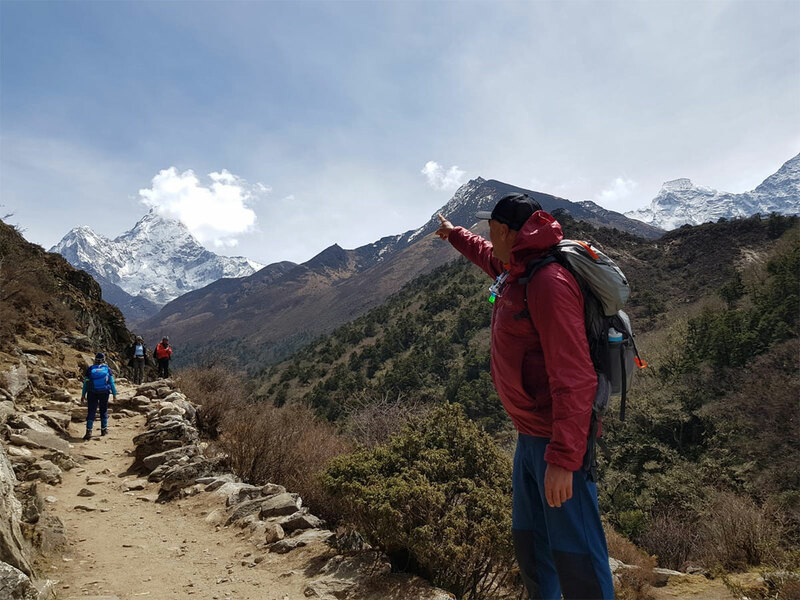 Views from Tengboche are some of the finest and most spectacular on earth. Take a look at some of them. 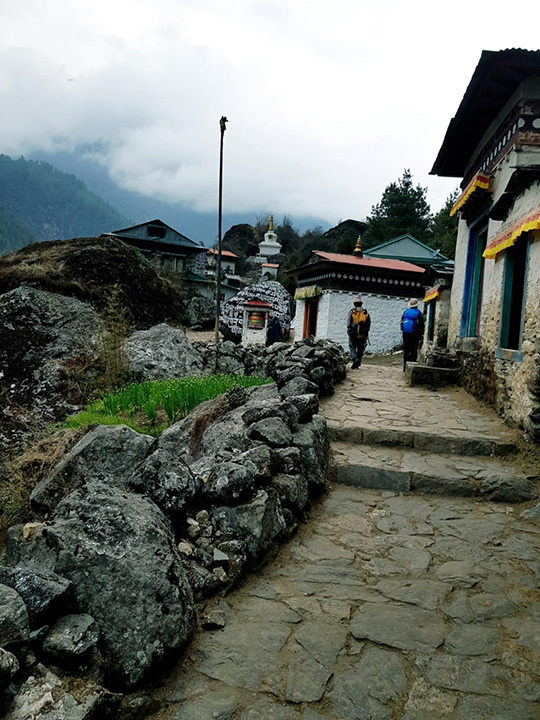 Lukla is a small town in the Khumbu Pasanglhamu rural municipality of the Solukhumbu District in the north-eastern part of Nepal. 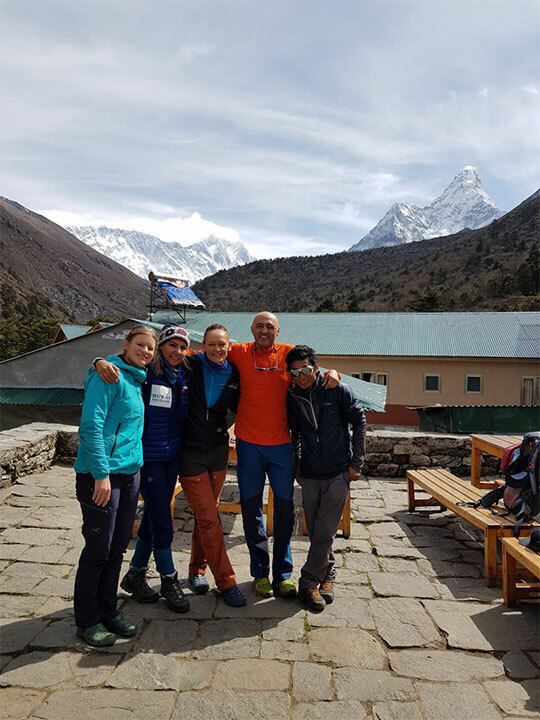 It is situated 2,860 metres (9,383 ft) above sea level and a popular stop for visitors and climbers to the Everest. 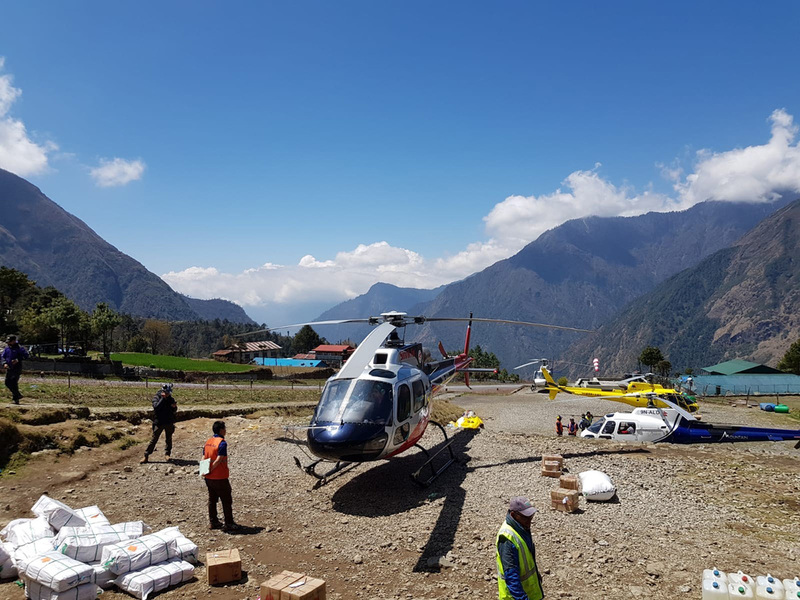 The town has a small airport for helicopters to land and a variety of shops and lodges catering tourists and trekkers, providing western-style meals and trail supplies. 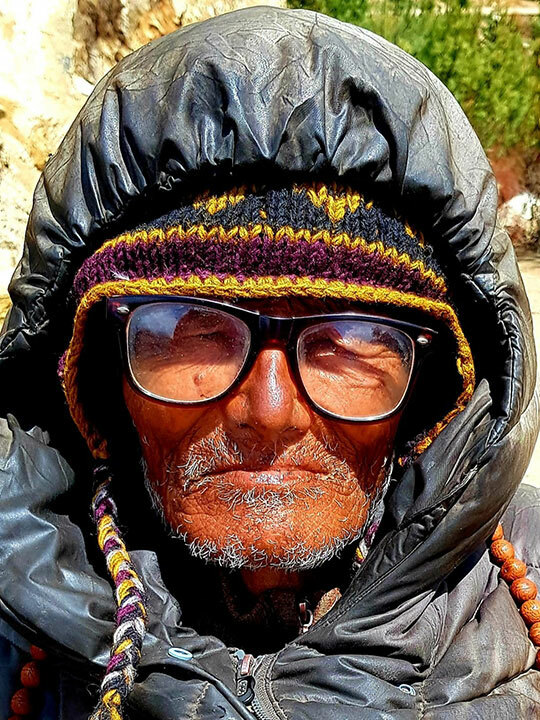 From Lukla, travellers take two days to reach another village Namche Bazaar, an altitude acclimatization stop for Everesst climbers. Khadija and her coach land in Lukla and head to the Khumbo guest house. 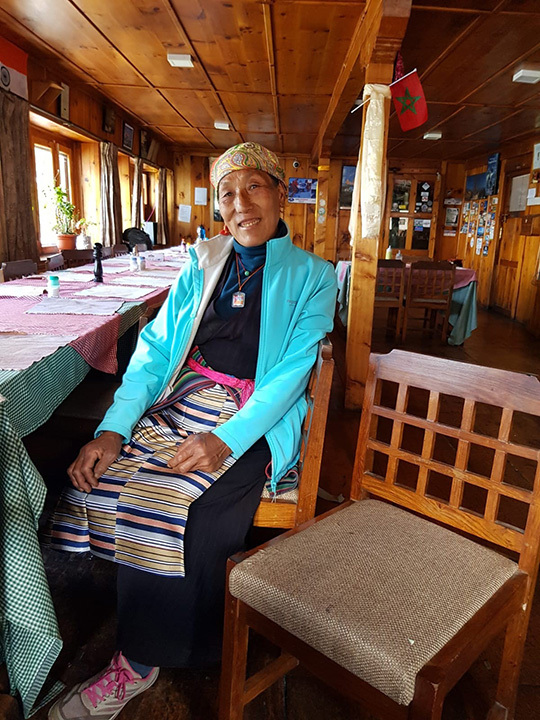 They are greeted by the owner of the guest house, a sweet old lady they have known for years since 2008. 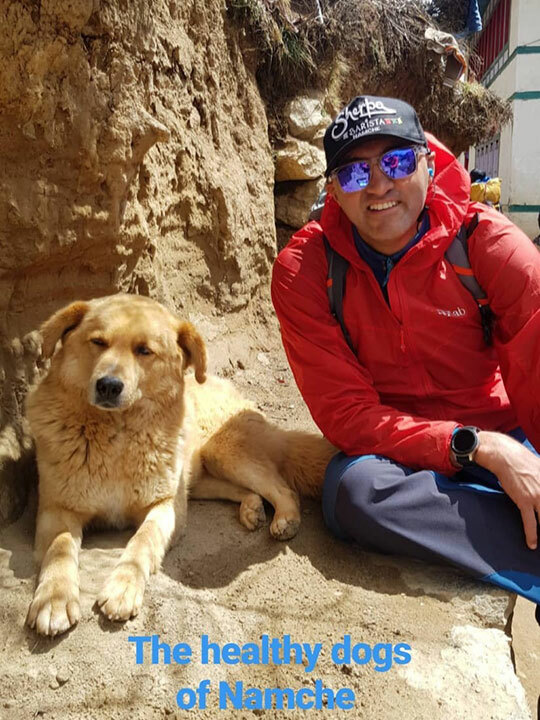 She is also related to the Sherpa (guide) who is trekking along with Khadija and her coach for the climb. Khadija begins her climb after a light lunch at the guest houseAfter a healthy meal, Khadija begins her ascend. "We are on way to Phakding. 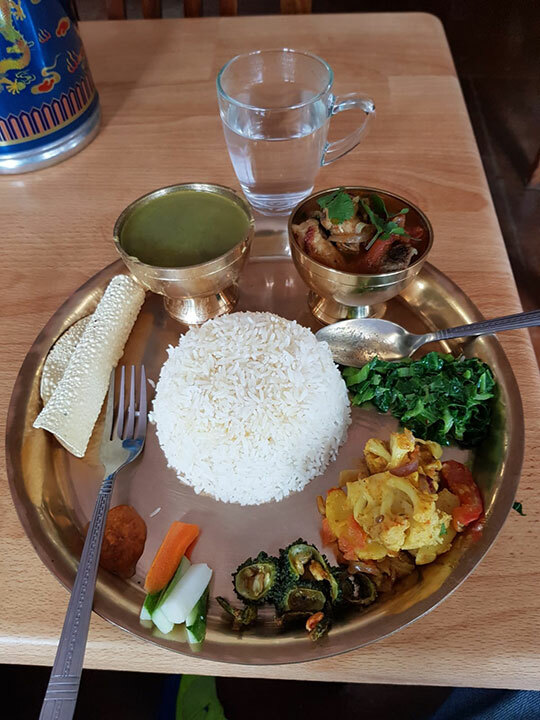 The hike is likely to be three hours long and we will be resting overnight at the Sun Rise Hotel in Phakding. 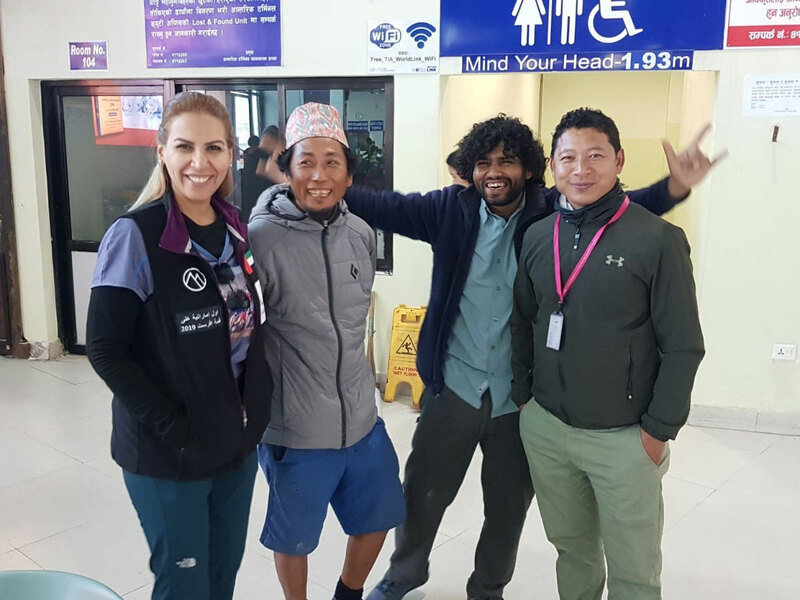 Khadija and her coach alight a helicopter from Kathmandu airport to Lukla, which is 9000 feet above sea level close to the foot of the Himalayas. 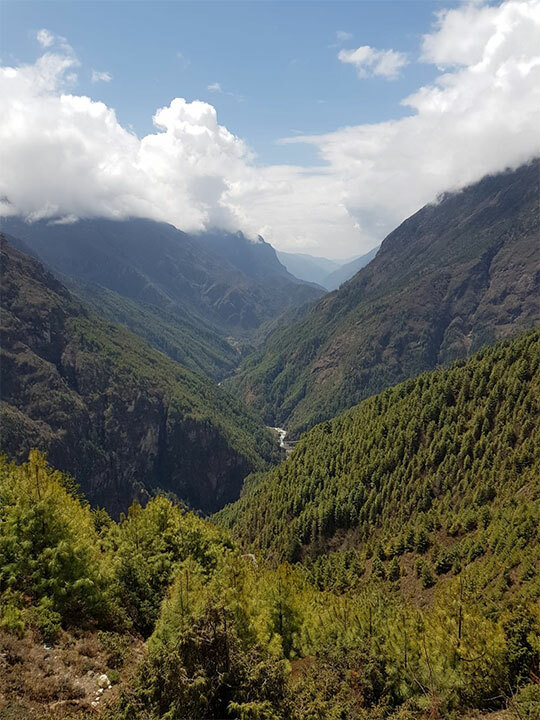 Lukla is a small town in the Khumbu Pasanglhamu rural municipality of the Solukhumbu district in the Province No. 1 of north-eastern Nepal. 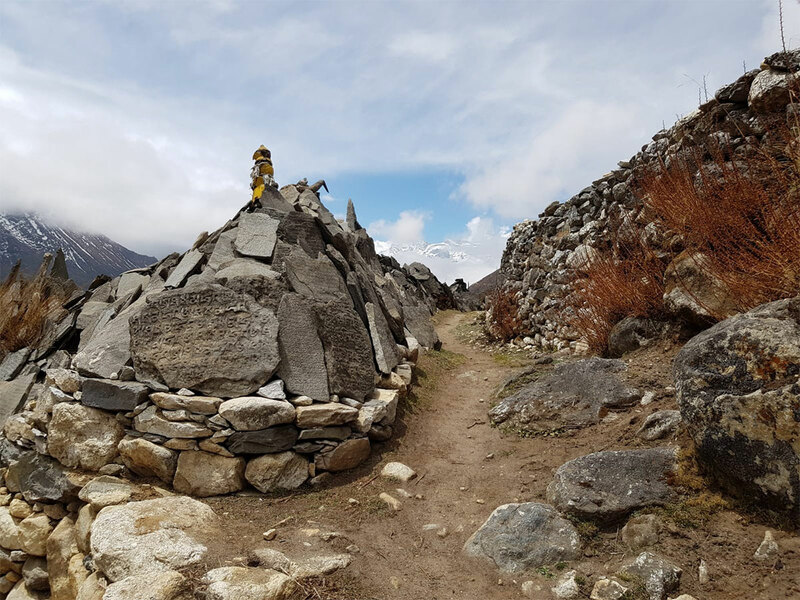 Situated at 2,860 meters, it is a popular place for visitors to Himalayas and for those trekking the Everest. 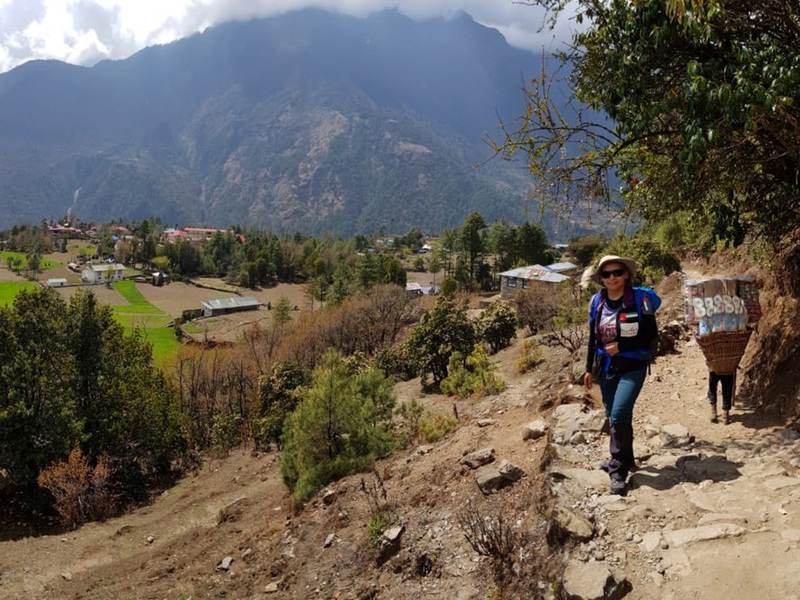 "The view from from the heli is simply brilliant what with such dramatic views of the terraced hills and the distant Himalayan peaks," she said. 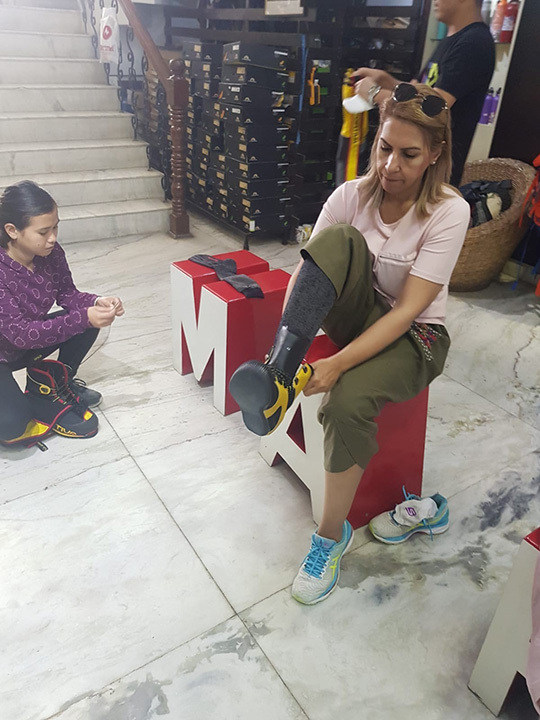 A full check-list in place, Khadija and her coach are out and about in Kathmandu for shopping the right gear. 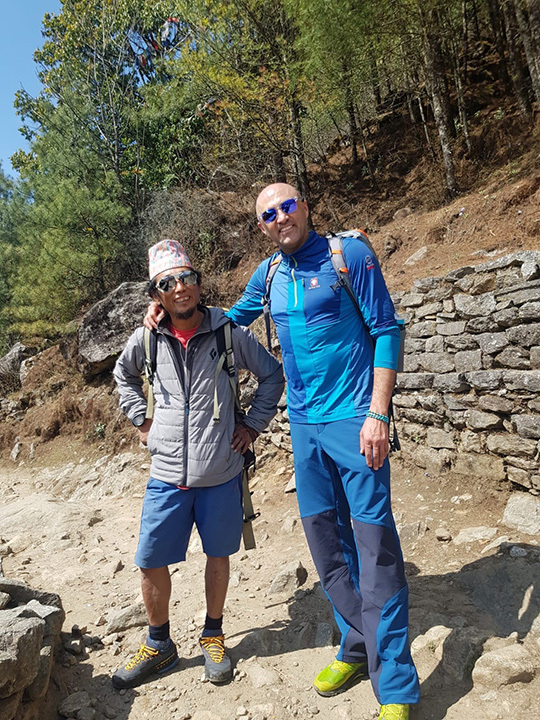 Amidst grabbing some waffles and yummy strawberry shakes at the lounge, the duo spend some time shopping for essential gears for the trek and it costed them $8,000. Remember they are on a two-month long mission. Here is what they picked up. 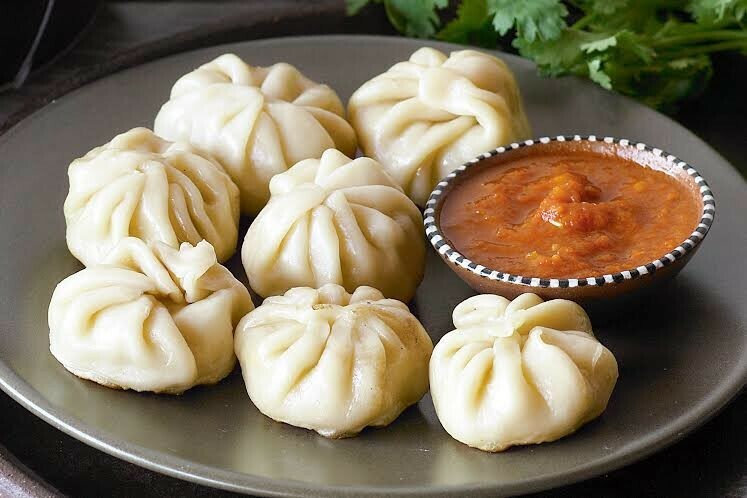 First thing Khadija and her coach Mostafah do is grab some momos, popular in Kathmandu. 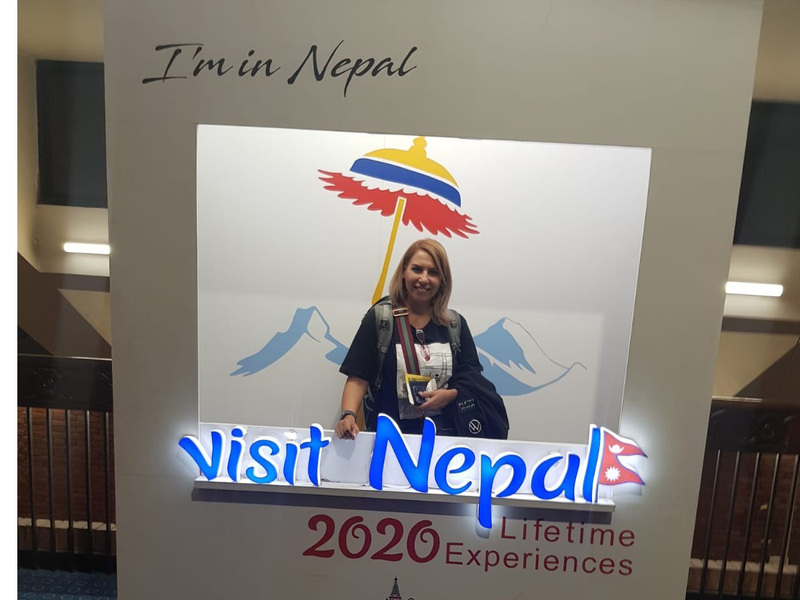 Khadija leaves Dubai for Kathmandu on flydubai. 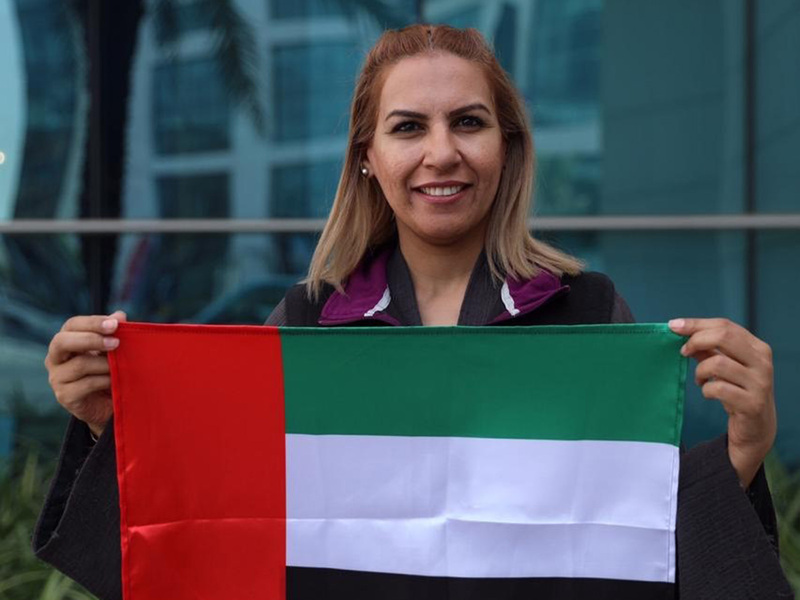 She is accompanied by her coach Mostafah Salameh who hails from Jordan. 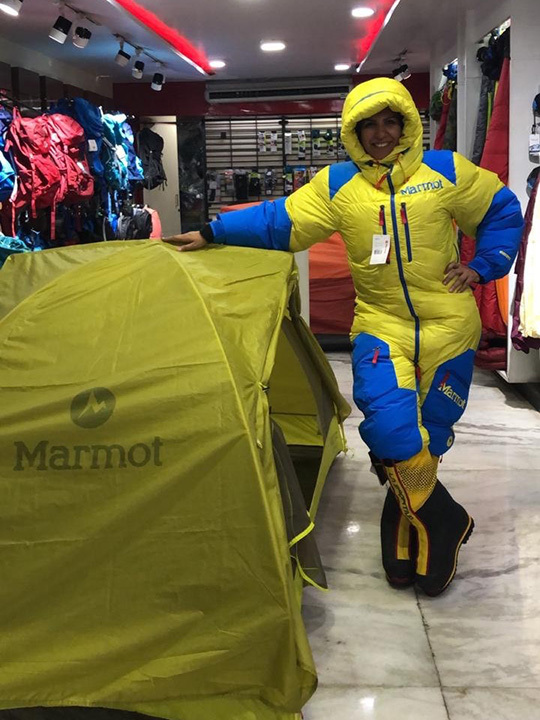 The airlines grants her excess luggage as she is on a national mission to conquer the highest mountain in the world.